Tamil Nadu: The Human Rights Commission (HRC) has issued a notice to the Tamil Nadu government after a government hospital wrongly diagnosing a woman with tumor as pregnant. On April 11, Haseena Ameer Ali of Kannagi Nagar had tested positive for pregnancy at Kasturba Gandhi Government Hospital and had been consulting the hospital since. She lived like a pregnant lady for 10 months and consumed medicines from government hospital. Her due date was in November and it was only after the hospital found that they confused a tumor with pregnancy. “She got her scans in the third, fifth and the seventh month. We have the medical reports and she was also taking regular vitamins and iron supplements and injection too, said her sister Nasrath. When asked about the incident Tamil Nadu Health Secretary J. Radhakrishnan said that this was a very rare case and enquiries are on as to how to prevent such incidents in the future. He said that 60 to 70 percent of births in the state occur in government hospitals and that this one incident should not result in all hospitals being labelled as careless. “In three per cent of the cases, the urine pregnancy test could go wrong and hers would’ve been one of that,” said Dr Vijaya S, Gynecologist of the hospital, after Hasheena had paid nearly a dozen visits. “I think she had psuedocyesis. 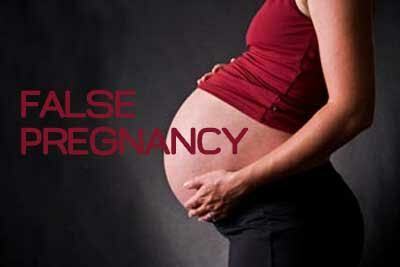 It is a condition where the person believes she’s pregnant, when she’s actually not,” she added. Hasheena also has Poly-Cystic Ovary Disorder (PCOD) and a cyst was removed from her abdomen this January. However, rarely does the condition stop menstrual cycle, especially for months as was seen in her case. 1.huge ovarian cyst mimics preg.But mensus H/o verify. 4.New modalities–HR Ultrasound,Ct,willbe helpful & preg tests repeat. 5.consultations other doctor helpful. Tumours r fast deveps than preg. so reexamination of the pt refer 2 senior doc helpful–at least in 1 visit show 2 consultant exam.